Chinese company Appscomm is the first one in the world to release a Mirasol display-featured device, its Fashioncomm A1 smartwatch being already available for pre-order. 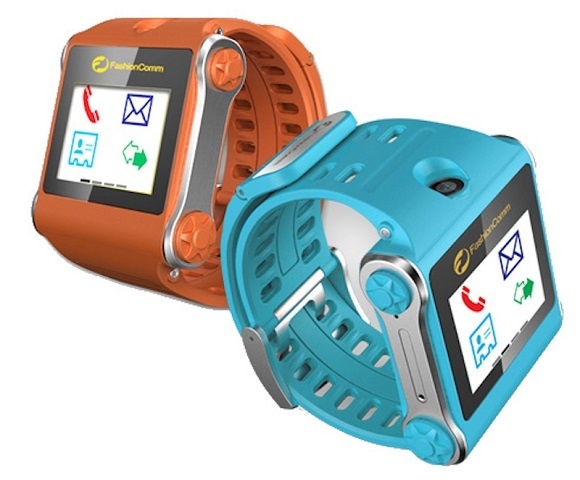 While the Qualcomm Toq is also available for pre-order at this time, it seems the Appscomm Fashioncomm A1 is the first smartwatch with Mirasol display to become available to the public. Unfortunately this is a device exclusively available on the Chinese market but it deserves to be mentioned nevertheless. The Appscomm Fashioncomm A1 is similar to the Samsung Galaxy Gear in terms of design but, fortunately, it is cheaper (roughly $215) and comes with a bunch of interesting features of its own, the most important being its GSM chipset accompanied by a SIM slot that allow this gadget to function as a fully-featured smartphone. In addition to the phone capabilities, the Fashioncomm A1 sports a 1.55-inch Mirasol display, Bluetooth connectivity, a digital camera, as well as a 450 mAh battery that allows up to 190 hours of standby time. Appscomm has been in the smartwatch/wearable mobile phones market for a while, but it never managed to gain international fame. Now, we may see more from this company, especially if the Fashioncomm A1 proves to be a success on the local market. Later this year Sony, Pebble and Samsung are all expected to release their own smartwatches, so the battle will be fierce.